Corner Surf Parade & Queensland Avenue, Broadbeach, Queensland. 4218 Australia. Aruba Beach offers the ultimate holiday lifestyle! 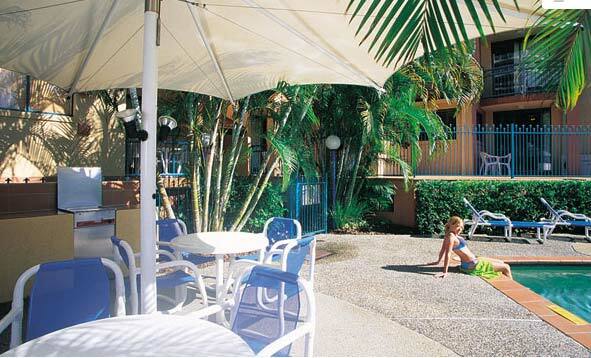 Aruba Beach offers quality accommodation in a convenient location on Queensland’s Gold Coast. Located in the centre of Broadbeach, the resort is within walking distance of Conrad Jupiters Casino, the Gold Coast Convention and Exhibition Centre, and Pacific Fair and Broadbeach Mall shopping centres. Surrounded by Broadbeach’s award-winning restaurants and nightclubs, Aruba Beach is ideally suited to both families and couples. 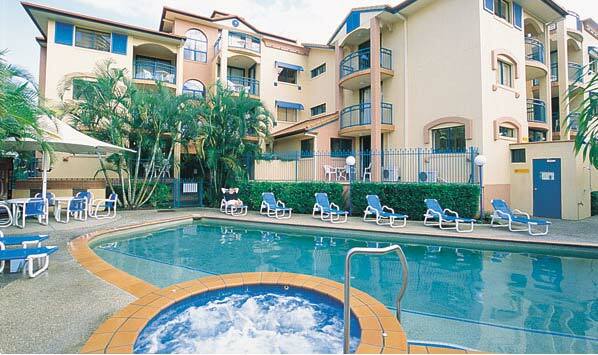 The Gold Coast’s famous theme parks are within easy reach and the Surfers Paradise CBD is just a ten minute drive away. Accommodation options include a choice of one, two and three bedroom apartments with fully-equipped kitchens, laundry facilities and a private balcony or patio. Aruba Beach features onsite recreation facilities including a landscaped BBQ area, exercise room, heated spa, sunbaking area and salt water swimming pool. Located just 150 metres from the beach and close to Broadbeach Mall, Conrad Jupiters Casino, Pacific Fair and an abundance of cafes and restaurants, Aruba Beach is the ultimate all round holiday Resort. 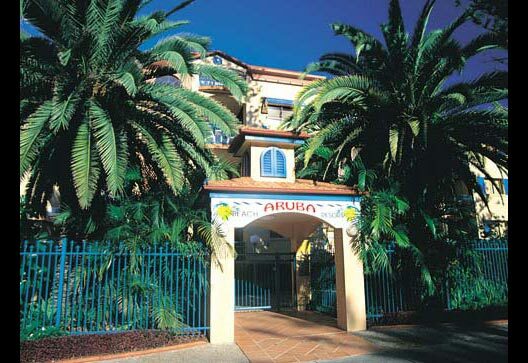 Aruba Beach offers spacious 1, 2 and 3 bedroom apartment style accommodation set in vibrant Broadbeach. All apartments are self-contained and are air-conditioned. Available with two queen beds. Apartments also feature an ensuite in the master bedroom. Available with three queen beds. The master bedroom features an ensuite with a spa.